This one-of-a-kind vent hood, handmade from 16 oz. 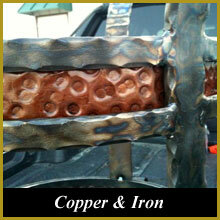 (24 gauge) copper, features cast iron accents to complement the allover hammered finish. 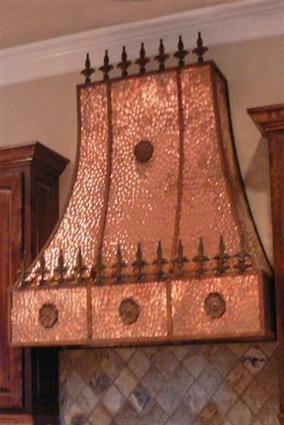 Copper straps accentuate the upsloping curves of the vent hood, while cast iron rosettes and finials provide a focal point for this uniquely designed piece.